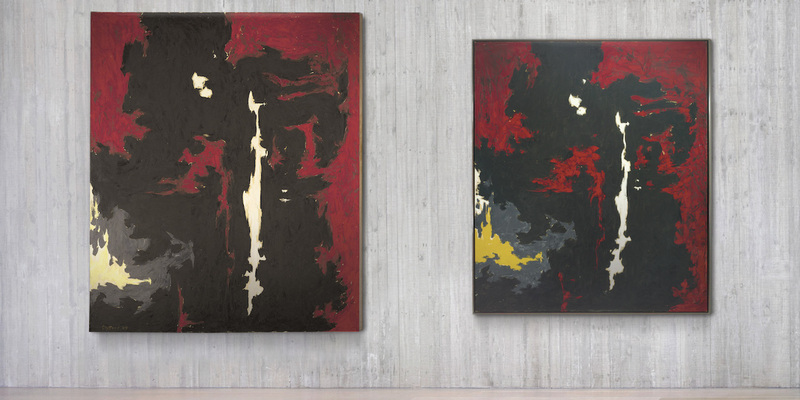 DENVER — The current exhibition at the Clyfford Still Museum (CSM), Repeat/Recreate, has been on the institution’s wish list for nearly 10 years, since well before it even opened. 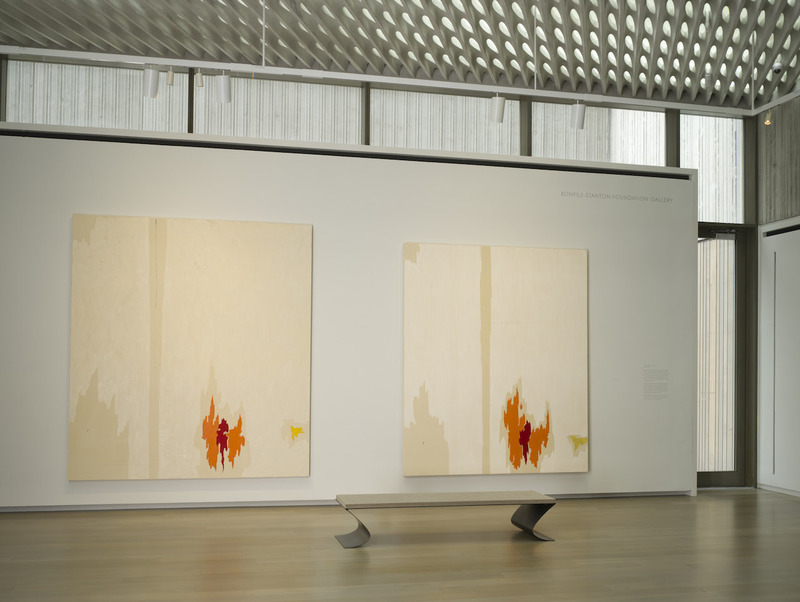 The museum controls 94% of Clyfford Still’s life’s work, yet the show required 12 lenders to gather pairs and triplicates for their first public display together. 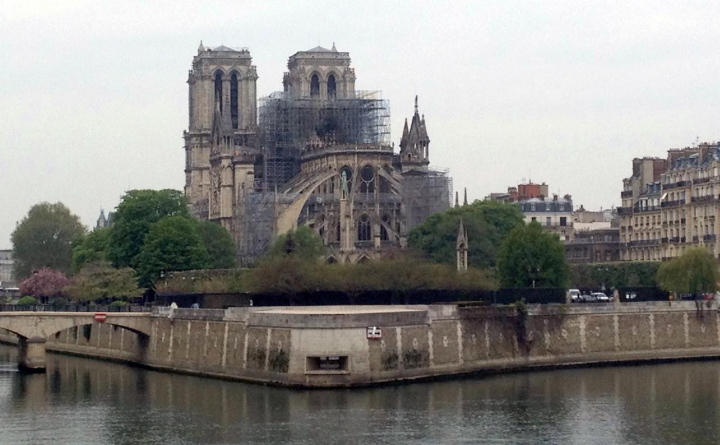 The result is a curatorial and institutional triumph. The exhibition starts in a small gallery of five self-portraits produced between 1923 and 1940. Still painted “PH-672” (1923) when he was just 18 years old. In dramatic lighting, he renders himself as a serious young man wearing round spectacles, a page boy hat, and with the collar of his wool coat propped high, enlarging his silhouette. Nearby, Still’s large 1940 self-portrait, “PH-382,” is painterly, with streaks of color isolated on his face. These portraits exemplify some of the reasons we know and suspect Still repeated images throughout his life: maintaining a complete collection after a sale or loss; in homage to a concept worthy of “more than one stretch of canvas,” as he wrote in a 1972 letter quoted in the Repeat/Recreate catalogue; or returning to a concept, sometimes decades later, to clarify an idea from a new position. The range of personalities of the portraits — from contemplative (“PD-12,” 1929) to jovial (“PH-752,” 1924), in a variety of styles and media — demonstrates that Still was not a slave to any particular aesthetic. Replicating was something he did from the beginning of his career, and then much more so with the passage of time. The dramatic conclusion of Repeat/Recreate grapples with the 1951-T Group, in which there were originally four paintings. The first piece in the series, “PH-815,” was included in MoMA’s important 1952 exhibition Fifteen Americans after the museum rejected Still’s proposed submission of “PH-246” (1951), a 13-foot-wide all-black painting. This rejection was the start of a cantankerous relationship with the institution, which led Still to call it “the great gas chamber of culture on 53rd Street.” Two years after Fifteen Americans, MoMA requested to purchase “PH-815,” but by then Still had destroyed the original, likely due to damage, and had sold its replica (“PH-813”) to a private collector. Still painted a third version for MoMA (“PH-814”) and a fourth (“PH-812) for his own collection. 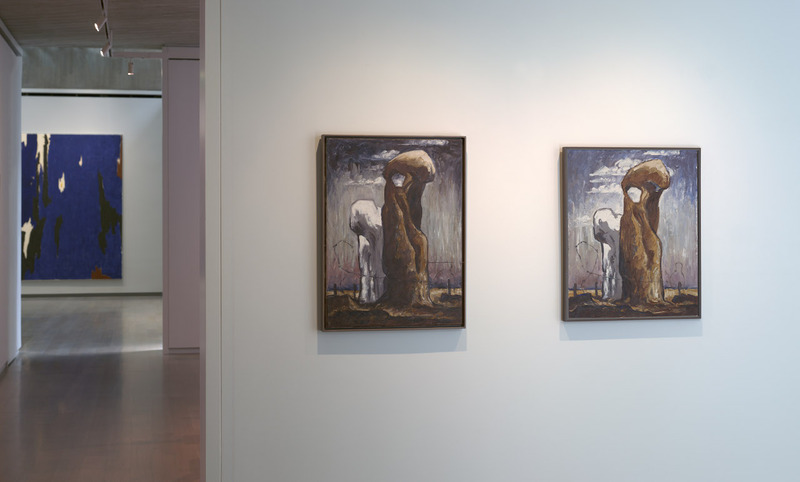 He appeared to favor some versions of the piece over others, referring to “PH-813” as the “parent,” while his widow Patricia Still considered MoMA’s “PH-814” to be “deliberately inferior.” Seeing the three extant versions side-by-side here, the quality of the CSM’s version (“PH-812”) becomes evident, with its rich colors, two maroon lines, and the vertical serpentine streak that is one of Still’s hallmarks. Meanwhile the swirling purple line in “PH-814” appears disjointed from the rest of the composition, especially when compared to the deep, uniform purple in the two adjacent versions. Multiples illuminate Still’s creative process. Scale is not directional, with the second version becoming either larger or smaller. His choice of media, likewise, can at first be oil (“PH-111,” 1952) and then shift to pastels (“PP-135,” 1956), challenging the assumption that oil is the pinnacle of painting. Many Old Masters, most notably Rembrandt, made multiples, and Abstract Expressionists continued this practice. Robert Motherwell’s Elegies to the Spanish Republic series or Willem de Kooning’s Woman series are just a few examples. The myth that Abstract Expressionists were impulsive producers of spontaneous and unique works is debunked by the very presence of duplicates and triplicates. Still once said, “I do not intend to oversimplify — in fact, I revel in the extra-complex.” Like his process, this exhibition is a reminder that an artist’s life’s work is more important than the individual image. 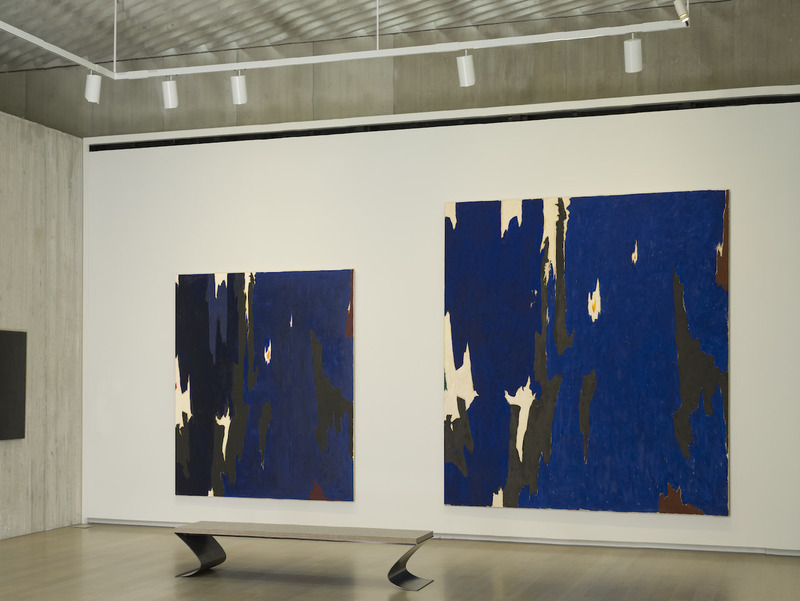 Repeat/Recreate: Clyfford Still’s “Replicas” continues at the Clyfford Still Museum (1250 Bannock Street, Denver, Colorado) through January 10. 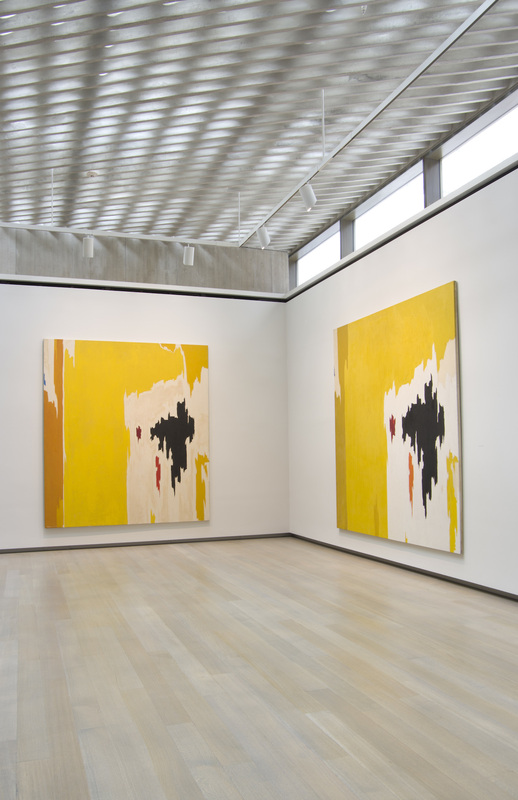 Full disclosure: The author gives public tours of the Clyfford Still Museum once or twice per month.